It’s certainly been a while since our last review, hasn’t it? You can blame the run up to my latest book release, I suppose, but that’s no excuse! I mean, only a contemptible cad would use the intro to a game review to promote his own project! … Ahem… Today we’re looking a unique puzzle game called Zoombinis, a blast from the past that has been dusted off and made available on modern systems. As is often the case, I gave its first serious try without reading the press materials associated. Sometimes it’s handy to have your first experience be completely cold and free from preconception. Thus, I quickly noticed that this game wasn’t what I’d call cutting edge. The individual graphics are pretty decent. Foreground characters have a cel-shaded, cartoon look to them. Backgrounds are illustrated in greater detail. Think of the old Saturday Morning cartoons and you’ll get the idea. In fact, I’d say the overall look, from the characters to the settings (at least in the early game) is vaguely Smurf inspired. Characters are well drawn, and even animate, but the animation is extremely limited. Normally that would mean that characters only deform or pivot like paper cutouts, but in this case the limitation is framerate. For the more detailed characters, like a picky demander of pizza or a quartet of stone guardians, the dialogue is fully animated and even has some basic lip synch. But the animation clocks in at maybe two frames per second. Overall, I was a little confused. The visuals weren’t remarkable, but they were unremarkable in a way that is different from most unremarkable visuals. Then I read the press materials and discovered this was a game first available in the 1990s. Suddenly it all made sense. This was from the early CD-ROM era, and judged by those standards, it is pretty darn impressive. 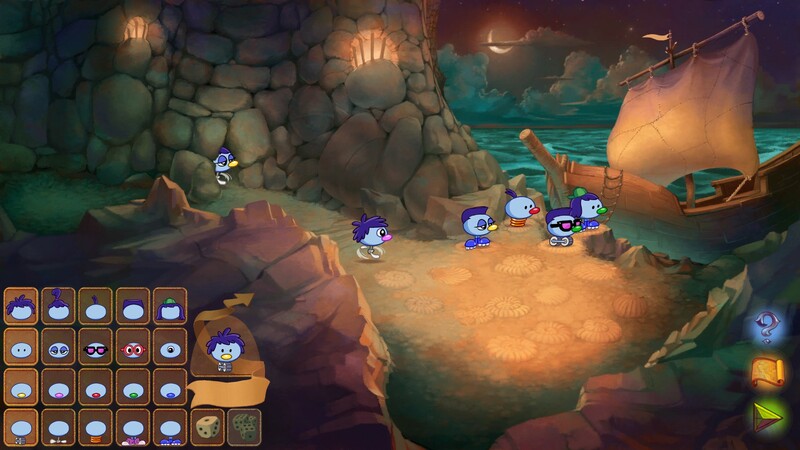 The Zoombinis themselves, for instance, are exceptionally varied, composed of four different elements of five different varieties, making for 625 unique characters (potentially). The developers performing the updates didn’t just sit on their hands, either. I played at a modern desktop resolution, one that would have been positively beyond belief when the game was first released, and the graphics are free of the severe anti-aliasing or pixelation I would have expected. So they didn’t add frames, but they definitely improved individual graphics. Playing this game, you won’t be fooled into thinking was developed in the last decade, but they’ve definitely updated the graphics to bring them more in line with modern expectations. This is effectively a puzzle game, though the approach to the puzzles is a little different than most games I’ve played. You begin the game by constructing a group of Zoombinis, utilizing the variety of hair, eyes, noses, and feet available to you. At first I thought this construction phase was just there to allow you to make “your favorite” Zoombini (you can even name them) but almost immediately I learned that the appearance isn’t just cosmetic. 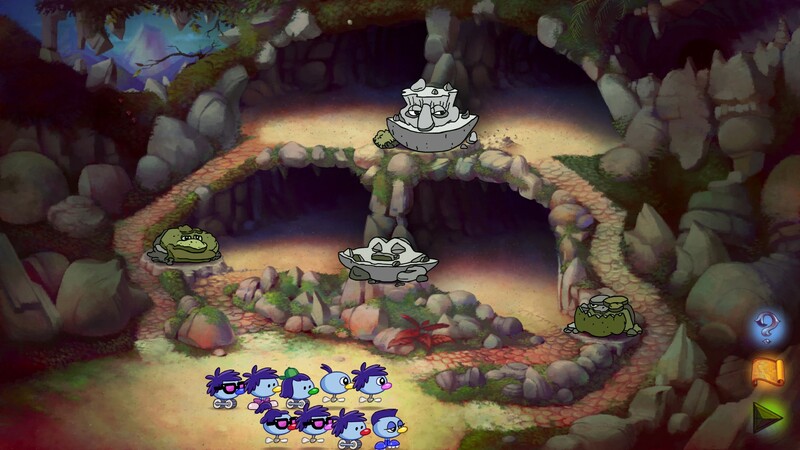 In many puzzles, the configuration of the individual Zoombinis plays into the solution. Take the very first puzzle for example. You’re tasked with getting the Zoombinis across a pair of bridges. Sometimes the bridge lets them through, other times it sneezes them back to the start and loses one of its supports. After some trial and error, you’ll discover that pass or fail is based upon some aspect of the Zoombini’s look. Usually I find focusing on hair will make the biggest difference during these “sorting” puzzles, of which there are a few. Other puzzle types include sending Zoombinis off to be guided through a grid controlled by logic gates that direct them differently depending on how they look and who went through before them. Still others require you to arrange them such that each one has at least one feature common to its neighbor. There are less complex puzzles too, things that simply require trial and error until you find the right combination, or decoding an x-y coordinate system that’s been encoded in colors and shapes, but most are fairly simple once you apply basic logic. Even when the solution isn’t clear, a little brute force will usually get you through. 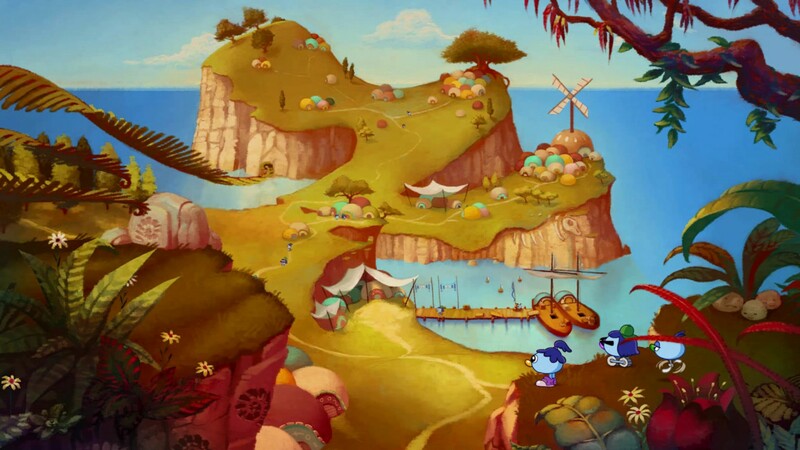 The overall goal somewhat harkens back to games like Lemmings, as it requires you to deliver a minimum number of Zoombinis to periodic checkpoints, and eventually get them to the safe haven at the end of the game. 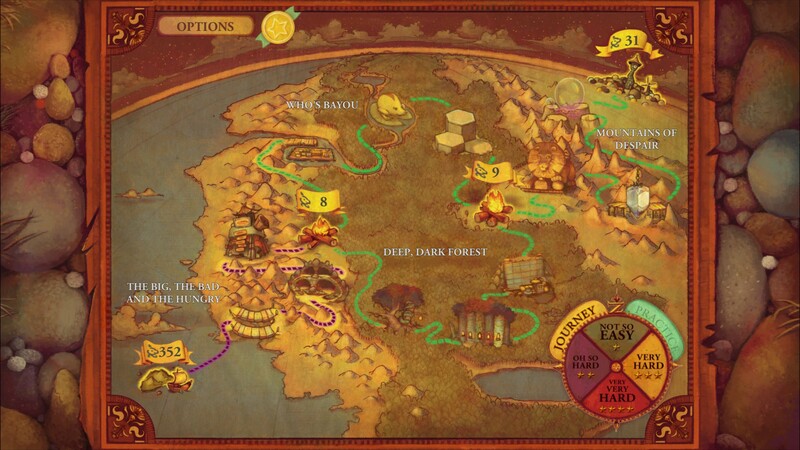 Failure to get a batch of Zoombinis across sends them back to the previous checkpoint, so you can always try again, and even if you succeed flawlessly, you can expect to be playing the puzzles quite a few times to “beat” the game, as you are expected to get 400 Zoombinis to safety before it is all over. For adults, this game will thus be kind of simple initially and very repetitive thereafter. There are only about a dozen puzzles or so. After you’ve beaten them all, it’s just a matter of rinse and repeat until you’ve delivered all of the Zoombinis to safety. But with a cartoon-based presentation and pre-level hints that more or less instruct you how to beat the game, this obviously wasn’t aimed at adults. It has a strong educational slant, introducing topics like binary sorting and other programming principles in a very accessible way. I’m serious when I say a less candy-colored version of this game would have helped a few of my friends in college grasp early programming principles. I could definitely see this latching into the minds of kids with a technical interest. The sound is another thing that’s a little lackluster now but would have been amazing at the time of its release. Several characters speak—quite expressively, might I add—and the game is fully narrated. Unlike the visuals, though, there really wasn’t much they could do to update the audio. Thus, the music and dialogue is all a bit flat. Still, there’s plenty of it, and while I wouldn’t call it motion picture quality in its performance, it’s better than the common “hey, get Bill from accounting to come in here and voice the villain” that you might encounter in other games from this era. The story of the game is fairly basic. 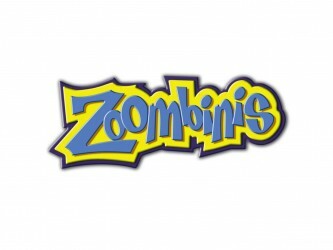 Our heroes… or victims, I suppose, are the Zoombinis, an industrious race of techno-organic creatures. (They don’t really lean on the techno-organic thing, but some of these creatures have tank treads or propellers, so I’m calling them cybernetic monstrosities.) 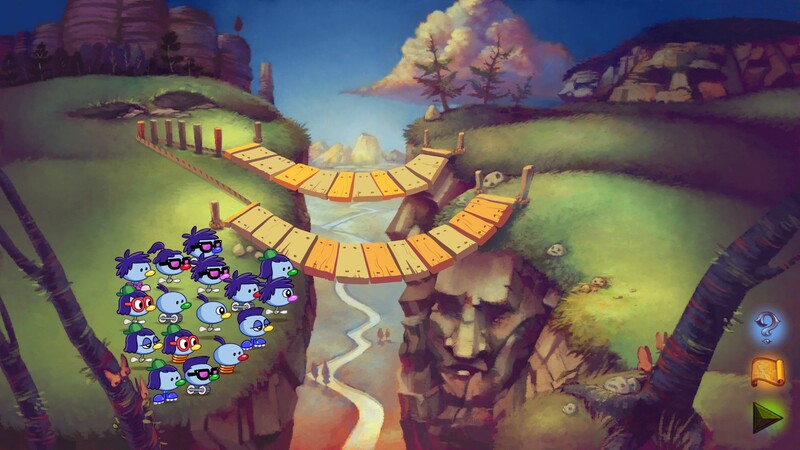 Some ogre-type creatures come along and introduce them to the world of Corporate Greed, forcing them into unbearable working conditions, and so our intrepid Zoombinis make a break for it. This is all established in the opening animation, and once that’s through, there’s nothing resembling a plot, but this is a puzzle game, so that’s not surprising. This is a pretty decent puzzle game for the young ‘uns. If your kids are tablet users and you’re looking for a way to teach them a bit about logic and keep them quiet in the car, this is a fine game. Most puzzles aren’t so hard that kids can’t work them out eventually, but they’re challenging enough to teach good lessons about critical thinking and pattern matching. Overall, it definitely still has its niche to fill. 8 / 10: The audio and visuals are slightly dated, but this is still a quality educational game for kids, particularly in its tablet form.